To take advantage of this offer please mention "Free to me Program" when you call, stop in or go online. 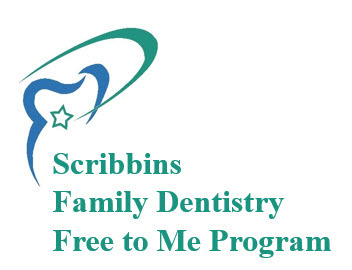 Explore your possibilities with "Scribbins Family Dentistry"
*Type and quality of x-rays depends on each patient's individual situation. **The above applies to routine care, smile makeovers (lumineers, etc.) AND orthodontics. ***We will work with you to achieve a comfortable payment plan.